"It is not waste until it is wasted"
A major challenge of today lies within the reduction of waste generated by the chemical industry. Particularly solvents accumulate in almost all chemical processes. Compared to the desired product this waste accumulates in 5- to 100-fold quantities. We are urging to develop radical new synthesis pathways, completely avoiding the use of any solvents. These syntheses are based on mechanochemistry. 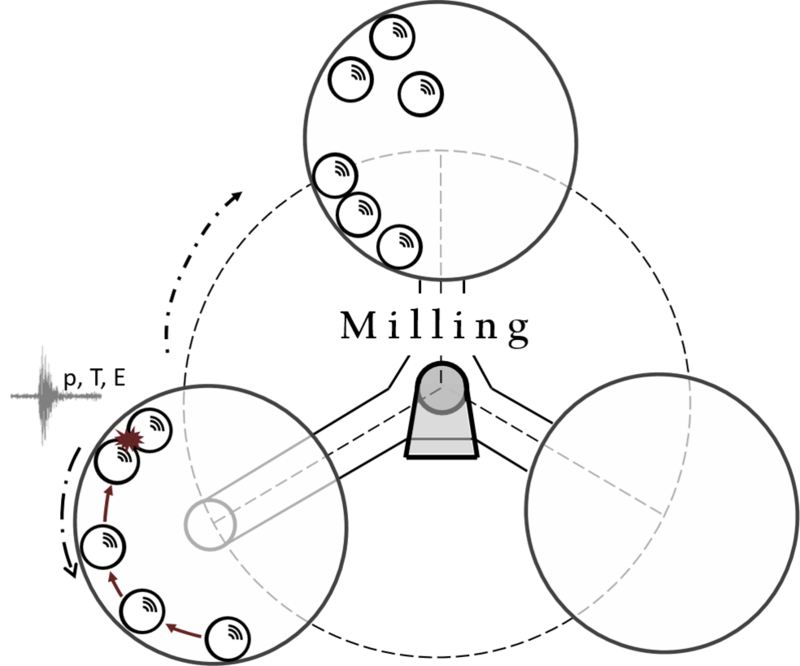 Thereby, mechanical energy, which is brought into the system by ball milling, is the initiator for chemical reactions, rather than temperature as in conventional thermally-induced reactions. The energy input is restricted to a locally confined spot within the reaction chamber, where chemical bonds are broken and reformed. Thus, an unconventional chemistry is possible with different reaction mechanism, reaction products, and product selectivities as compared to classical solvent-based synthesis.